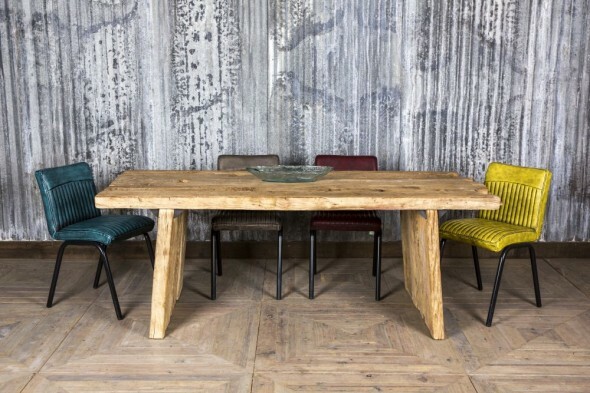 Introducing our limited edition ‘Old Barn’ reclaimed oak dining table. 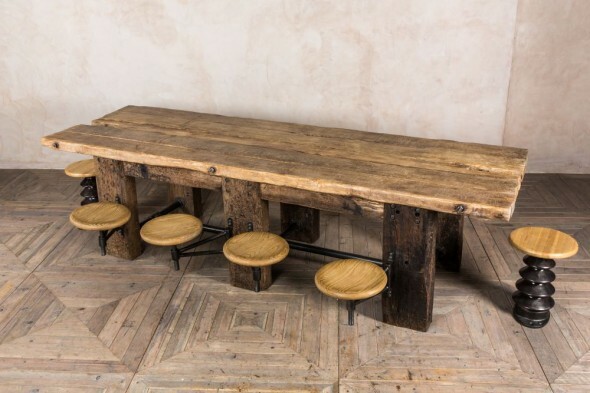 The top is made from the reclaimed oak of an old barn in southern Poland. Please expect to see some signs of wear and tear; the table’s beauty is in the marks of at least a hundred years of cold continental winters and hot summers, which give it its fantastic character. The top is set upon a hand cast iron base. Although all the castings are the same, in that they are based on the same master casting, the nature of the single item process means that each base is unique. The legs are also hand finished to smooth edges, giving them another layer of individuality. It is available in three sizes. Choose from 2m, 2.4m, 2.7m and 3m. Please be aware that the width of these tables do vary; it is between 95-105cm, as it would be a shame to cut the natural sides of the planks. The table creates an instant feature in any room, as comfortable in a listed building as in a modernist open plan space. The limited quantity of the reclaimed materials and the labour-intensive nature of the process means there will be a limited number of these tables ever made.